During my Japan trip I didn’t bother learning the Japan Rail system; where my companions go that’s where I go. I noticed that in some stations we were changing trains, but it didn’t really occur to me why and how to do it. That’s the thing with sponsored trips, you just go with the flow because everything is taken care of including a task as simple as taking public transportation. When you go on your own trip of course this is not going to be the case especially if you are alone. The responsibility of where you will eat, where you will go, and how you will get around lies on your shoulder. In short, I was forced to learn the Taiwan MRT system. I realized that it’s not as difficult as it may seem and because I am proud that I did learn it, I just had to write an entire post about it (celebrate little achievements y’all!). 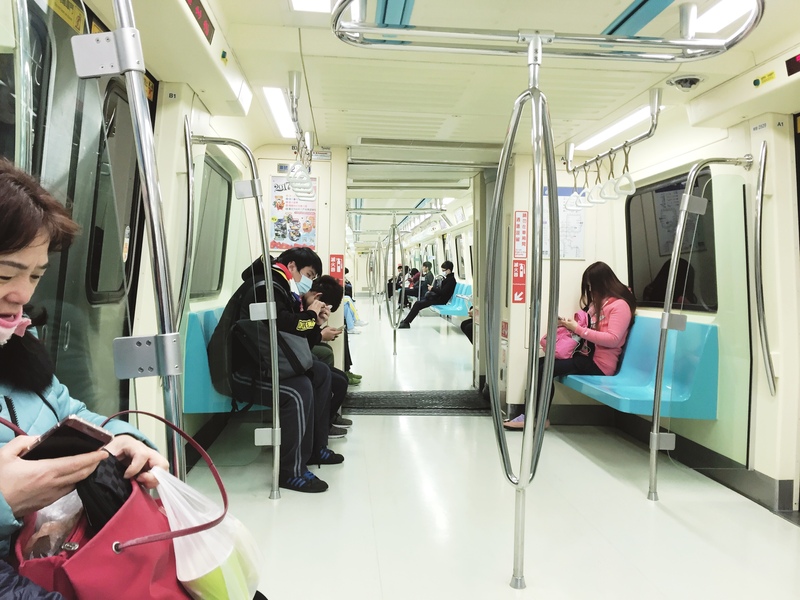 So here are some tips on how to take the Taipei MRT. You can buy a one-time ticket fare from the MRT stations but if you are going to Taipei for days and you want to save money by not taking a cab, then I highly recommend you buy an Easy Card. You can load up this card from the MRT stations or any 7 Eleven stores. This card can also be used when taking a bus or when renting a UBike. By the way, card tapping work differently in Taiwan. In the Philippines you only need to tap once when you enter the train station or when you step inside BGC shuttle, in Taiwan, you tap the card twice; first allows you entry, second time happens when you exit. The easy card will only be charged during the second tap. I was constantly checking the balance of my card so I learned about this. 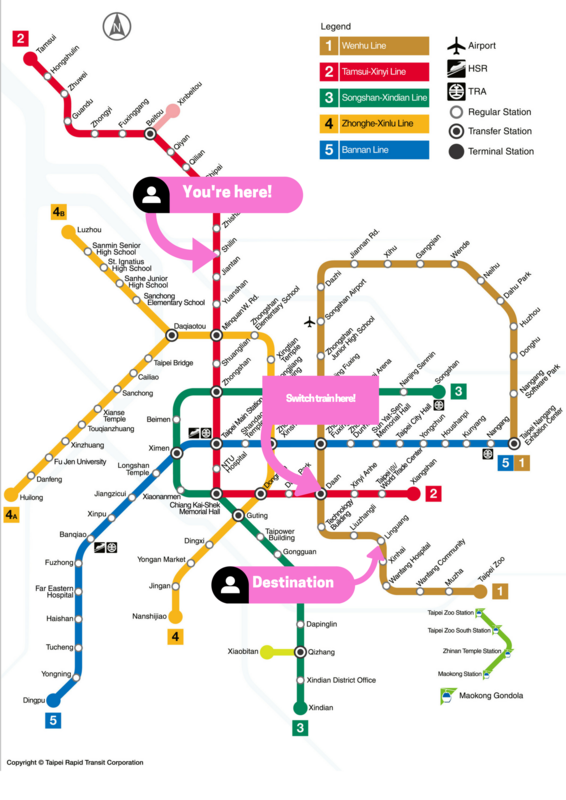 What I found to be real useful is using the MRT map, it’s usually printed on tourism guide pamphlets, which you can get from the place of your accommodation. This map has a list of all the stations. If you are a Filipino I want you to forget about how our train works for a moment because it’s different from the one in Taipei. The first thing that you need to understand is the lines, they are indicated in the map in different colors. I didn’t know what’s the sense in it until I had to travel somewhere when I had to switch trains. So this is how it goes, all lines are interconnected by a station. For example, let’s say you’re coming from Shilin (red line) and your destination is Linguang (brown line), then you have to switch train. First take the train from Shilin, the first interconnection is on the green line at Zhongshan station, but looking at the map it is still a bit far from the destination. Since there is an interconnection in the Daan station anyway, it’s best to remain in the red line until you reach that station. From Daan station, follow the signs until you reach the brown line. The ending stations of the brown line is Nangang and Taipei Zoo, looking at the map, you need to take the train that goes to the latter. So take the train, Linguang is only 2 stations away. 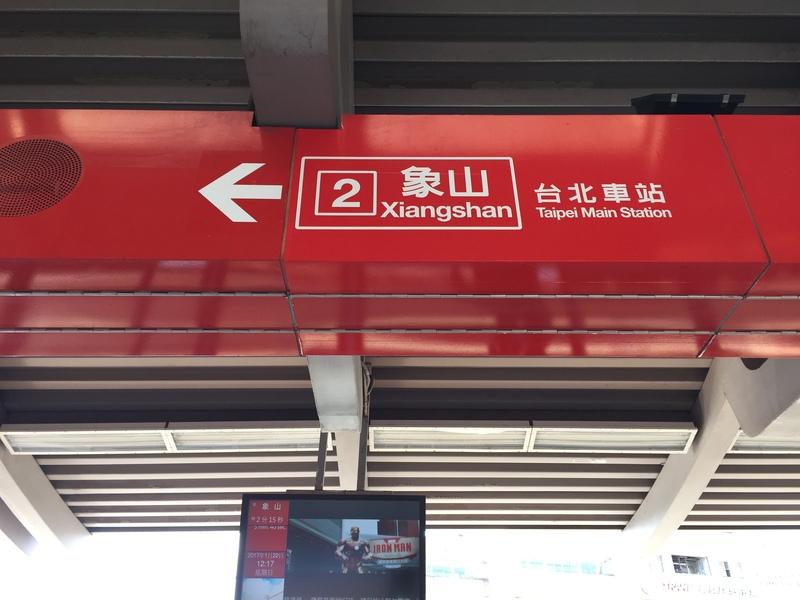 After the Technology Building and Liuzhangli stations, you will reach Linguang station. The same principle applies in all the other stations. The best way to do this is check the station closest to your destination so you don’t have to keep switching trains. Inside the train there are digital signs just above the sliding doors that indicate the current station and the next station. You will also hear an audio announcement inside the train. The signs and the announcements are both delivered in Chinese and English so you don’t have to worry about translation. The same is true with all the signs displayed all over the MRT. By just reading and following the signs I didn’t have to ask locals anymore on my second day in Taipei. Unless of course you are old, pregnant, or disabled. I have much respect for the Taiwanese for following this rule even when the train is full with passengers. 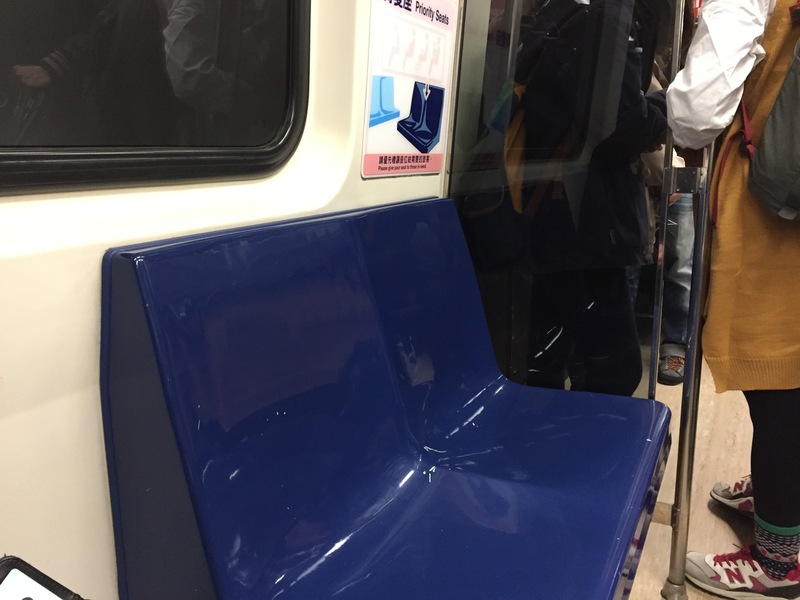 They keep those seats unoccupied and would stand on the train if they don’t fit the criteria mentioned. When a major mall started implementing the escalator etiquette in the Philippines, many people criticized it. I honestly don’t get the complaints over something that bids for discipline. In Taiwan (as well as in Japan), they follow the stand-on-the-right, walk-on-the-left policy when using escalator. I truly believe this simple etiquette is useful and respectful of other people’s time. And it’s not hard to follow too so why complain? We Filipinos could learn a thing or two from our neigboring countries if we really want to improve ourselves. Part of the reasons they are progressive is because their citizens are disciplined so maybe we should start learning how they do it, and maybe just maybe we wouldn’t be so left behind. Lastly, enjoy the ride! The MRT in Taipei is fast, efficient, and even on busy days doesn’t become as hellish as the Philippines’. Forgive me for all the comparisons that I’ve been making between Taiwan’s MRT and my country’s train system. If you’ve ever taken Manila’s MRT you would understand. But yeah, the point is, if I —a self-confessed direction impaired— could learn the MRT system of Taiwan, then so can you. It’s the cheapest and most convenient way to get around Taipei and as you can see, it’s not hard to learn! I hope this guide will be useful to you when you find yourself in Taiwan soon. This is like a complete guide to the Taipei MTR. I love cities which have public transport networks like these. It’s so convenient to get around them. Thanks for calling out the dos and don’t as well, which is important since the culture of every other place tends to be different. And it is always good to know your etiquettes when traveling somewhere. This post is so helpful! Using public transit in a different country can be stressful but your info definitely can help put travelers at ease. I will save this so I can use t when I go to Taipei someday! I think almost all of us SE Asians for some reason have this attitude… places like Taiwan and Japan are more orderly because they just follow the rules that make governing themselves easier. I don’t know why it just doesn’t take in our region. I’m Malaysian, we’re the same. Super helpful post, and a great reminder that not all public transportation in cities is created equal. MRT looks quite clear and manageable compared to a few other cities. I’ve lived in London for almost six years, and can still find myself on the wrong line! Really useful post. The Taipei MRT seems fairly easy to follow. Nice to hear that the locals are respectful and leave stand rather than use the priority seats unless needed, you don’t get that in London. I prefer to take public transportation in a new city whenever possible, way more affordable and there’s a sense of accomplishment when you figure it out haha. Glad you got the Taipei system under your belt! This post is very informative and extremely useful, the Taipie MRT system sounds easy enough to follow especially as the sign are written in English too which is very reassuring. Thank you for making this simple guide! Even after having lived in NYC for a few years, public transportation in other cities always throws me off a bit! It’s nice to have a little insider tip before going somewhere! This is a good guide, Marge. 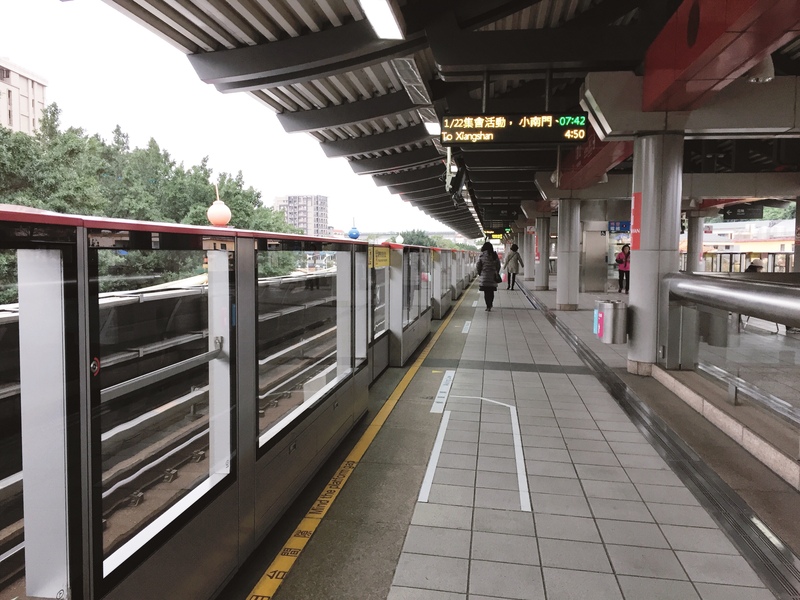 Taipei MRT system is relatively easy to navigate and use as a means of public transport in going around to tourist spots in Taiwan. Japan has more lines, loops and colors and stations. Thus, more complex. Good thing you have somebody to rely on when you were using Japan’s MRT. I actually love the chill vibes in Taipei which you can gauge by how busy their train stations are. I also noticed how they follow the rules and give priorities to oldies/preggies on the train. Thank you wishingbelle. Oh yes, Japan railway is much more complicated but I want to learn it too the next time I visit Japan. Alam mo, this is a helpful post. You are absolutely correct when you say that looking at the MRT map in other countries, such as Taiwan, forget about our LRT/MRT. Simply, we do not have the same setup, where our neighbors have a much more efficient and integrated lines and exchanges. I also agree with you on the elevators. Apparently, we do have the same etiquette here, but it is not practiced. In Taiwan, I noticed that and it seems most people do follow the rules. By the way, hindi maingay sa streets no, like halos walang nag busina? Hi Robert. Yes I noticed that about their streets too though if I would compare it with Japan, the Japanese people are more disciplined when it comes to following their traffic rules. The Taiwanese are just like the pinoys in a sense that if the traffic light is still red and there are no vehicles around, they’d cross the street. In Japan, even when there are no vehicles, people would really wait for the green light before they cross the street.